Winter is a festive season, both in your soul and your restaurant! 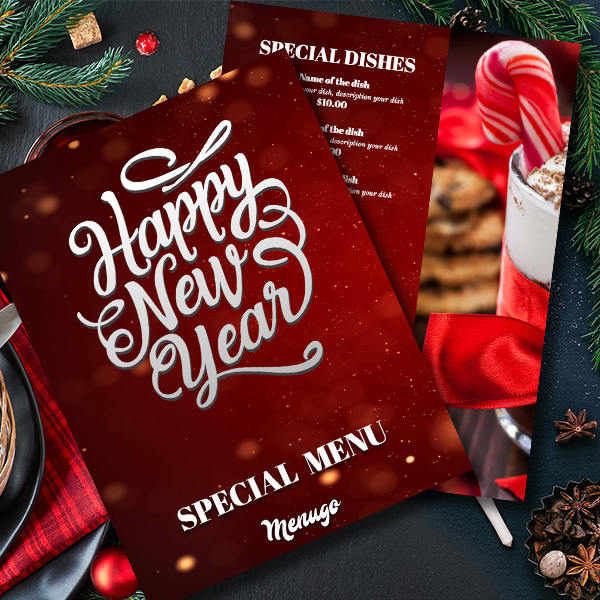 It's time to prepare Christmas and New Year menus! Naturally, the most popular shades are red. That's why we offer our stunning template in these colors.